Six Flags Great Adventure in Jackson, New Jersey offers many different types of food and they vary in quality. I enjoy the burgers in the Character Cafe, yet I think the chicken in Granny’s Country Chicken is forgettable. However, there is a new addition that gets me so excited that I wet my pants. 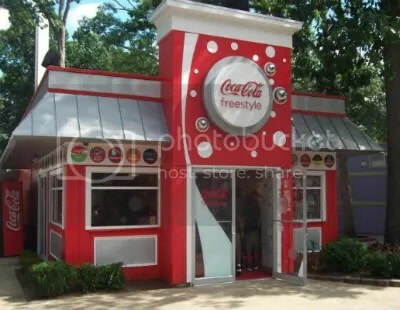 After I clean my pants from spilling my drink due to excitement, I usually go to one of my new favorite spots in Great Adventure: the Coca Cola Freestyle shop.